Since the Romans built the aqueducts – and probably even before that – builders have been using a variety of masonry techniques to add decorative detail to the facades of their structures. Textured surfaces, or rustication, add visual interest and make surfaces look more complex than they really are. A common and popular technique to achieve creative expression on tilt-up concrete surfaces is the use of reveals, or rustication strips, embedded into the concrete to create lines that add depth and visually break up the panel face. Solid rubber, urethane, plastic, metal, and wood have all been used for this purpose. What makes these materials suitable for reveals is their ease of use and their ability to produce the desired effect. But there are drawbacks to some of these materials. Rubber, urethane, plastic and metal, for instance, are too costly for commercial use. Historically, wood has been the go-to choice for contractors to create these results. While wood is readily available and easily sized, its hygroscopic characteristics (the tendency to absorb or release moisture depending on surrounding environmental conditions) result in multiple challenges. First of all, the wood reveals’ tendency to bow, warp, or twist typically requires drilling or nailing each strip to the casting slab every 18 or 24 inches. 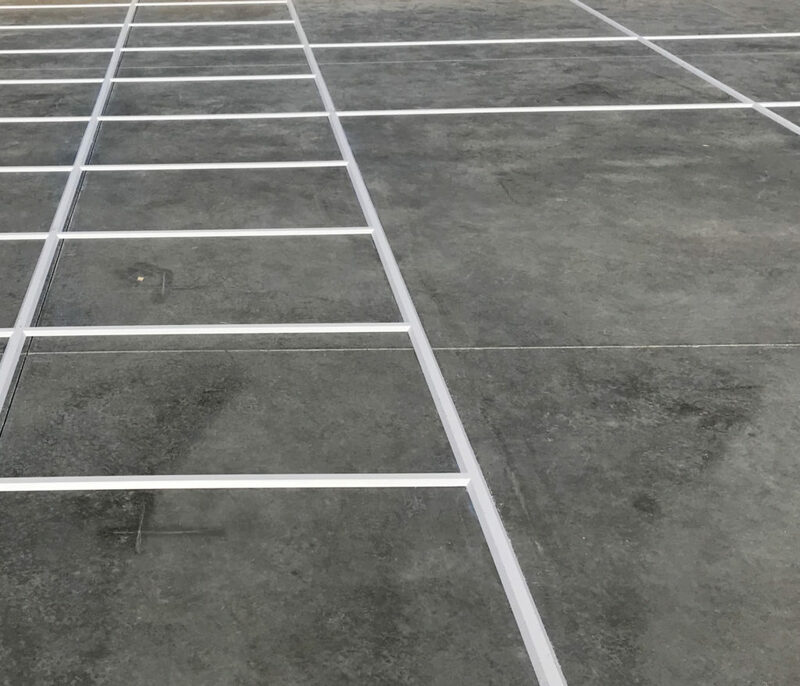 This is a tedious and time consuming task in and of itself, not to mention the patchwork repair that will be required on your newly poured slab. 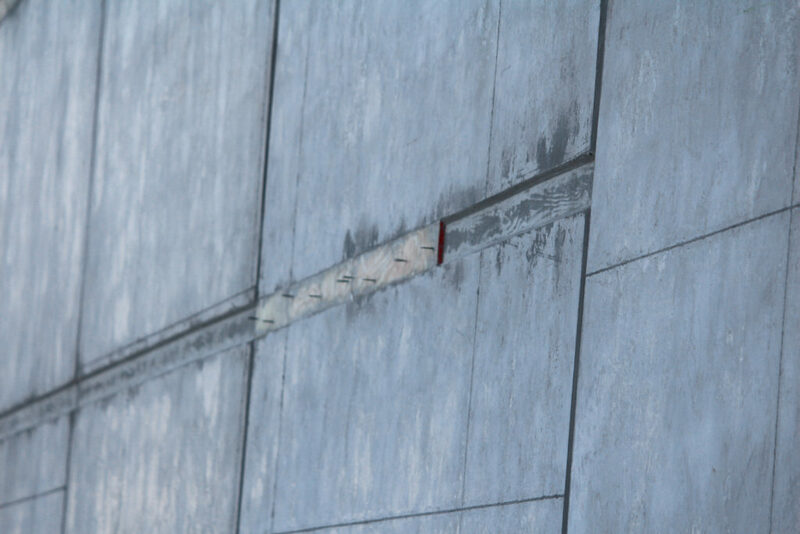 Wood reveals will also swell from the absorption of water in the wet concrete of the panel pour, resulting in inconsistent reveal dimensions and potential for sticking to the panel face during lifting. This sticking leads to mechanical removal and sack and patchwork of the panel face using costly snorkel lifts and requiring significant additional labor. Lastly, wood reveals leach sugars onto the panel face, causing surface retardation and staining, resulting in further sack and patchwork. 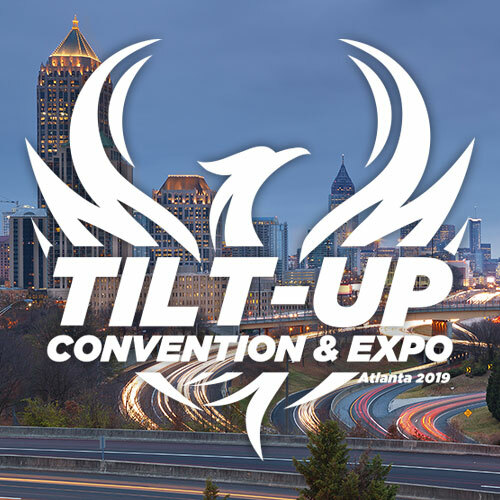 In the end, the added costs of labor, patching material and equipment led owners, architects, engineers, and contractors to search for a viable alternative to wood for creating aesthetic effects on tilt-up panels. This wood reveal had been nailed into place and is now stuck in the panel. Retardation has occurred and wood grain telegraphing is present where other wood reveals have been removed. That alternative material is polyvinyl chloride, commonly known as PVC. This synthetic plastic polymer, used in its rigid form for tilt-up purposes, is the same material you may have as plumbing pipes or electrical wire insulators in your home. PVC reveals can be manufactured in a wide assortment of shapes and sizes making it possible for any architectural vision to become a reality. High-quality extruded PVC rustication strips offer many benefits and solutions to the issues experienced with wood. Lightweight – So much lighter than wood, a single worker can carry an entire bundle by himself. Durable – PVC is largely unaffected by climate changes or environmental conditions. Easy to Install – Use of adhesive spray or double-sided tape is much easier than drilling and nailing wood strips to the slab, and it does not damage the floor. Clean Release – PVC does not swell and remains attached to the floor slab, eliminating costly rental equipment, labor and patchwork for repairs. Uniform Finish – This material provides an incredibly smooth and uniform finish that cannot be achieved with wood. No Retardation – PVC reveals eliminate the concern for wood’s sugar-related surface retardation and discoloration. Easy to Fabricate – Cut PVC reveals right on site with any circular/miter saw or scoring with a utility knife. Easy to Remove – Standard floor scrapers will easily remove PVC reveals. Cost Savings – The installed cost of PVC reveals is considerably less than that of wood reveals, primarily due to reduced sack-and-patchwork floor repairs and equipment costs. The advantages of PVC over wood reveals are clear. Quality results, however, are not achieved by quality products alone. Proper installation plays an equally important role in ensuring a project’s success. Start with a clean, dry, smooth casting slab surface. It should be free of dirt, dust, concrete laitance and other contaminants. Alcohol can be used to ensure a clean casting slab. Test your PVC reveals for compatibility with bond breaker or curing compounds and make sure your bond breaker cure coat has dried before applying the reveals. Cut PVC strips to size with a miter saw. (Pro tip: Running the saw blade in reverse can produce cleaner cuts.) Leave no or minimal gaps. Seal joinery details and end-to-end splices with a neutral cure sealant to minimize concrete seepage. Apply a thin, even coat of adhesive to the PVC strips and the casting slab adhesion area. Make sure the applied adhesive bonding surfaces are tacky and dry before bonding the PVC strips to them. Once placed, apply heavy pressure across the full length of the PVC strip to maximize adhesion. Do not use hammers or rubber mallets, as they may damage your strips and result in non-uniform pressure. Apply a compatible bond breaker directly over the PVC reveals. Place concrete evenly across the casting bed. Avoid dropping or pumping concrete directly over the top of your PVC strips. It is recommended to use deflection boards. 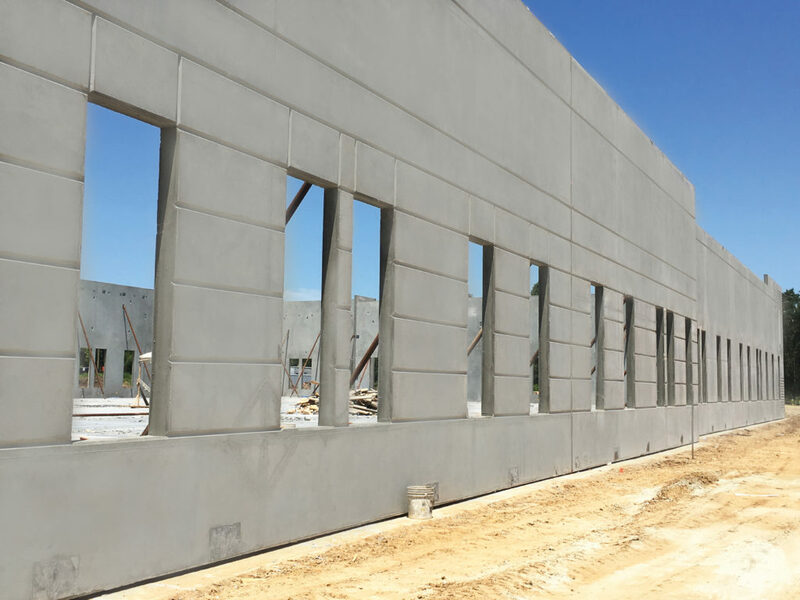 Once panels are lifted, easily remove the PVC reveal strips from the casting slab using long-handled razor scrapers. Be sure to specify with your contractor that PVC reveal strips will be used on your project, to ensure the best quality. 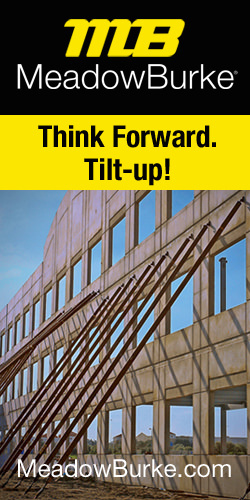 Too often, an architect or engineer does not specify a certain type of product for their tilt-wall panel designs. In other words, they leave it to the contractor to decide the means and methods of achieving the desired results. In the case of reveals, this can be detrimental to the project’s outcome. Architects and engineers simply cannot afford not to use PVC plastic reveals to achieve optimal results.